SCHOLASTIC BOOK ORDERS I had a few parents ask me about Scholastic book orders. I decided , Why not? It is a great way to build our class library and instill the enjoyment of reading. I will send out book orders throughout the year. However, you may order when ever you like. So click on the Scholastic link and use our class code. Happy Reading!!! Check out wishlist under supplies! Try Remind 101 App on your smart phone. You will receive reminders from our class. However, you will not be able to text back. I'm adding my e-mail address in the message and hoping it will be helpful if you need to respond. Welcome to the 21st century!! 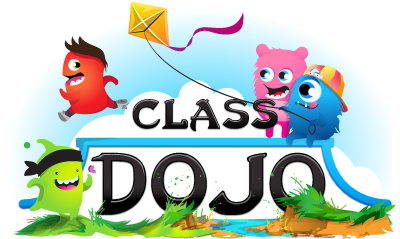 Click on Class Dojo and enter parent code.